Your Pictures with Coco & Lafe! ← Have You Tried: Garlic Scapes? 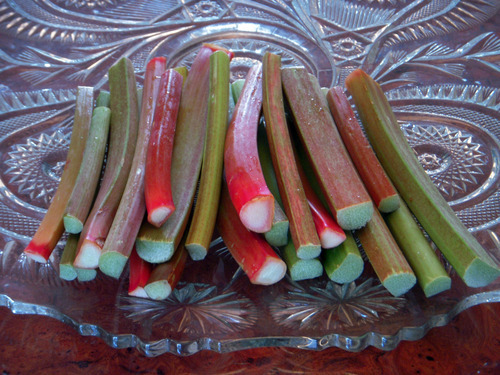 Rhubarb has been out at farmers markets for a month now, but you should still be able to find it. Check here on Real Time Farms to see where it has been available lately, so you can plan where to pick some up this weekend. I’d suggest making these rustic rhubarb tarts, and I think the rest of the Real Time Farms team would agree with me after enjoying them for breakfast one morning this week. I tweaked the recipe slightly, and just used more corn flour instead of the fine cornmeal, and it still worked perfect. They are delicious warm with a little greek yogurt or even vanilla ice cream. Enjoy! 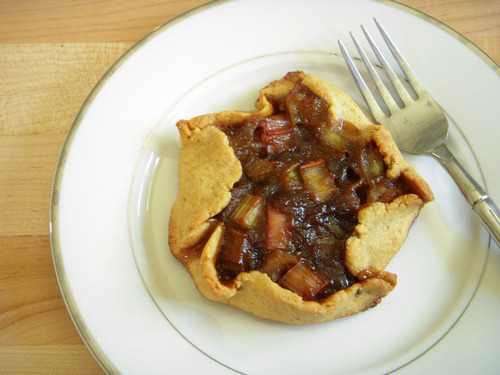 This entry was posted in In the Kitchen (recipes & more) and tagged desserts, lindsay jean hard, local food, Real Time Farms, rhubarb, rustic rhubarb tarts. Bookmark the permalink.